As a car owner you will surely know that one of the most important things that you will need to do to ensure your car continues to perform at its peak levels is to have your car serviced and maintained by professionals. But, these services can be expensive for drivers and can make the proper service harder to come by. As a driver in West Caldwell, Parsippany-Troy Hills, Wayne, Montclair, and Livington, NJ you can have your car serviced by the professionals in Paul Miller Honda of West Caldwell in Caldwell, NJ! 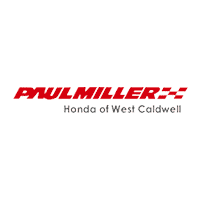 When you are looking for the premier place to have your car serviced, then look no further than Paul Miller Honda of West Caldwell. Our service center is an incredible and full of staff members who know the ins-and-outs of all cars available. While we specialize in Honda models, we have the knowledge to tackle issues in other types of cars. What really helps to make our dealership’s service center special is our selection of service specials. These specials help to make having your car serviced much easier and much more affordable in the long run. Whether you are looking to have your oil changed, brakes changed, tires rotated, or something else completely different, we will do our best to help. These specials do change though, so act fast because the next time you check out these specials they may not be around. Make car service more affordable is easy when you come on over to Paul Miller Honda of West Caldwell and work with our service center and take advantage of these specials. Come over today and see what our dealership can do to make everything related to car service more enjoyable. See you soon!